The facelifted Maruti Suzuki Ciaz has hit Nexa showrooms and bookings are now open. The new Maruti Suzuki Ciaz arrives in a fresh new look with updated interiors. 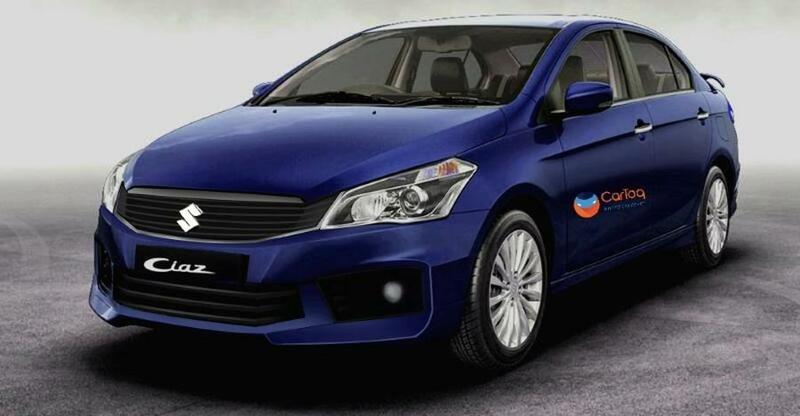 This new avatar for the Maruti Suzuki Ciaz will further drive sales for Maruti Suzuki in the A3 premium sedan segment. The Maruti Suzuki Ciaz continues to be a best-seller in the segment and will go up against the Honda City, Hyundai Verna and the recently launched Toyota Yaris. On the exterior, the Maruti Suzuki Ciaz will feature an aggressive stance with a bold new design to give it a premium road presence. It gets a reworked front grille, new sharper looking LED projector headlamps with DRLs, new bumpers at the front and rear, new LED rear combination lamps and new machined alloys. The interiors have been refreshed as well, keeping in mind luxury and convenience. The new Maruti Suzuki Ciaz gets a new premium dashboard and a host of convenience features like a touchscreen infotainment system with Apple CarPlay and Android Auto connectivity, a new twin-pod instrument cluster with new needles for tachometer and speedometer, a larger MID screen and cruise control. The new Maruti Suzuki Ciaz gets an all-new 1.5-litre K-series petrol engine delivering 104hp and 138.4Nm of torque. This is 12 hp and 8.4 Nm more than the outgoing model which had a 1.4-litre K14B unit. Fuel Efficiency will be higher due to the Suzuki Hybrid Vehicle System (SHVS) mild hybrid system. The 1.3-litre Fiat Multijet diesel engine with 89 hp and 200 Nm of torque coupled to the mild hybrid system is expected to continue for now. A new 1.5-litre diesel engine is currently being developed by Maruti and will most likely find its way on the new Maruti Suzuki Ciaz soon. Transmission options are a 5-speed manual and a 4-speed torque converter automatic for both petrol and diesel. Prices for the new Maruti Suzuki Ciaz are likely start from around Rs 8 Lakh for the base variant. Customers looking to book the new Maruti Suzuki Ciaz can walk into any of the 319 Nexa Showrooms with an initial payment of Rs.11,000. They can also book the new Maruti Suzuki Ciaz ONLINE.